Category Archives for "Food Knowledge"
Food supplements are very useful and they are a convenient way to make sure your body’s daily needs are satisfied. However, as the name itself suggests they are only supplementing your daily diet, not replacing it. Eating regular healthy meals and including these recommended supplements will help you boost your immune system, stay healthy and feel energized. Probiotics are live microorganisms, often referred to as the “good” bacteria. “Good” bacteria can be found in fermented foods such as yogurt as a product of natural fermentation process. There are also many varieties of probiotic supplements available in form of pill or chewing gummies that can be easily added to any daily diet plan. Taking probiotics increases the population of the good bacteria in the intestines which prevents the bad bacteria to multiply and cause illness or disbalans that will manifest as diarrhea or constipation. Moreover, it eases the symptoms of many gastrointestinal problems and illnesses. Essential thing for a good health is having a perfectly functioning gut. Probiotics help maintain good balance of the bacteria in the gut which will offer a good metabolism regulation and a proper food digestion. All nutrients taken from the healthy foods you are consuming and dietary supplements are efficient only when they are properly digested. A well-balanced bacteria culture equals proper gut-work which is the base of healthy, properly-functioning organism. Collagen is the main structural protein found in the connective tissues in the body, such as tendons, skin, muscles, ligaments etc. As we are growing older, our body produces less collagen and this results with rigidness in the body, wrinkled skin, week and damaged hair and nails. Therefore, taking collagen supplements is very beneficial for your body as it enhances the joints, bones, muscles, gut health and boosts the production of new collagen fibers. Moreover, it results in strong and good looking hair, nails, skin and proper digestion. Collagen in a form of dietary supplement is made when hydrolyzed and reduced to small peptides that are tasteless and easily dissolved. You can consume collagen in your smoothies, baked goods, hot drinks (coffee, cocoa even tea), you can mix it in water and not even noticed it’s there. Spirulina is an alga that comes from a family of single-celled microbes referred to as blue-green algae and they can be found growing in both salt and fresh waters. o Calcium, iron, magnesium, phosphorus, sodium, zinc. Collagen is very popular and widely used as it is proven to have no side effects and is suitable for every diet. Moreover, its high protein content makes it an excellent supplement for vegetarian and vegan people. It is recommended to be used by people that are on a restrictive diet as it helps supplement the entire nutrition and vitamins needed for good nourishment of the organism. Taking Spirulina helps with anemia, gut health, blood pressure and diabetes management, cholesterol, metabolic rate and allergy symptoms. Spirulina comes in a form of dried powder that can easily be added to smoothies and other meals or it can be taken with water as a pressed small green tablets. It has an intense algae smell. CBD oil is made from the main non-psychoactive component of the plant cannabis-sativa (marijuana) the cannabidiol. Its growing popularity as a natural remedy for many ailments has placed this miracle potion on every recommendation list of daily supplements. Many scientific studies have confirmed the curing and preventative power of the CBD oil. CBD oil reduces stress, anxiety and panic disorders, treats insomnia, and helps in weight-regulation as it can play a role in breaking down fat. Moreover, it is a natural pain reliever and has anti-inflammatory properties. The daily dose of several drops can be taken directly in mouth or it can be added to any drink or food you consume through the day. If you or someone in your family loves to vape it is also a convenient way to take your daily CBD dose. Check production grower recommendations for the best choice. The ascorbic acid – vitamin C, can be found in many fruits and vegetables. It is advisable to be taken from foods, however vitamin C supplements are very convenient to use and you can be sure you have satisfied your daily amounts of this very important antioxidant. Moreover, when it comes to vitamin C, your body has a good system of throwing away the excess through the urine which means you can’t overdose or cause harm. It is linked to impressive health benefits such as, strengthening body’s natural defense mechanism, therefore boosting the immune system. Furthermore, reduces the risk of heart diseases, battles high blood pressure, improves iron absorption which is of a great importance, protects memory and many more. Vitamin E can be found in seeds, nuts and oils and is known to be an important cholesterol-lowering antioxidant. It is recommended to be taken from foods and as a dietary supplement, however it is fat-soluble which means your body will store it and use it when needed. This antioxidant gives important protection from cigarette smoking and air pollution damages. Moreover, it may help repair damaged cells and slow the aging process of your cells. Magnesium is a great supplement that helps in recovering from everyday stress and tiredness. Your muscles suffer a great deal from stress and anxiety tension that put them in spasm increasing the feeling of rigidness. Magnesium acts as a natural calcium blocker to help muscles relax preventing the contractions and spasms. Don’t forget your heart is a muscle too. It is a very important supplement as almost every organ in your body needs it to function properly. However, when you are not getting enough your body may face a general malaise. Zinc is an essential nutrient that your body can’t produce or store. Therefore, it is very important to get a constant supply of zinc trough your diet or dietary supplements. We all know how important iron is for our healthy body, well zinc comes second after the iron minerals. Zinc is essential for cell growth and division, enzyme reactions, immune function and protein production. Cannabidiol (CBD) has recently become a very popular product. It is thought to be able to treat/ease a variety of problems. However, its use is being constantly debated. There seems to be a lot of uncertainty about what it actually is and what it does to our bodies. CBD oil may possess certain benefits that positively affect our health, but there is a possibility that it also has risks that we should be aware of. This article will discuss what CBD really is and the pros and cons of adding it to our everyday diet. CBD is a cannabinoid which originates from the cannabis plant. These compounds are extracted from the flowers and buds as an oil. For medical use, the hemp plant is the form of cannabis plant that CBD is extracted from. This is due to it being the least processed type. How concentrated the CBD oils are as well as what they are best used for varies. Before more research was carried out on cannabis, the primary compound found was delta-9 tetrahydrocannabinol (also known as THC). THC is the psychoactive element found in marijuana that causes the mind altering high associated with the drug. CBD is not psychoactive, so does not change the user’s state of mind when taken. It does produce other changes within the body, however, some research implies that these changes are medically beneficial. CBD can be taken in many forms. The most effective way is by using the oil via a pipette to place a few drops underneath the tongue. This seems to enter the bloodstream fairly quickly and positive effects (such as relief from a seizure) can be noticed within minutes of its application. It also comes in the form of a cream that can be applied to the skin and spray versions for the mouth. Another way to take CBD is to ingest it. This can be done by putting a few drops of the oil into a meal or drink and consuming it, or it can be swallowed in capsule form. Noticing the effects of CBD takes a lot longer when digesting it as it takes more time to enter the bloodstream. It is also less efficient than putting drops under the tongue as some of the CBD gets broken down in the stomach. Finally, CBD can be inhaled through a vaporizing device. However, this method isn’t recommended as there is a lot of evidence to suggest that ‘vaping’ increases the risk of lung infections and can affect their function. CBD is thought to possess a wide range of benefits. Although some alternative medications exist, CBD is thought to be a more natural option. Benefits include its ability to act as a natural pain relief as it is thought to contain anti-inflammatory properties. Therefore, it is great for joint and muscle pain, as well as acne (skin inflammation) and Type 1 diabetes (inflammation of the pancreas). There’s evidence suggesting that CBD can help people quit smoking and may also be able to treat people who are addicted to opioids. CBD’s effectiveness in treating epilepsy is one of the most supported benefits of this drug as it has FDA approval. Other symptoms of neurological disorders (due to CBD’s anti-seizure properties) are thought to be helped when CBD is used. CBD’s ability to help fight cancer and Alzheimer’s is also being researched. Please note that more exploration is needed to help support some of these theories. Due to being fairly new, data that can support some of the long-term effects is unavailable. Clinical trials of the epilepsy treatment ‘Epidiolex’ showed side effects such as liver and gastrointestinal problems, reduced appetite and urination, rashes, lethargy, and irritability. It has also been reported to cause negative effects on some people’s mental health. The lack of regulation on CBD production due to the legal factors of CBD means the percentage labeled on your product may not be accurate, and in some batches, traces of THC have been found which can worsen certain things that CBD is meant to help e.g. anxiety. Adding CBD to your everyday diet may benefit you in a brilliant way as many of the issues it has been said to help with could change lives. But as it is still early days, it would probably be best to limit your consumption until more research on this potential ‘miracle’ drug has been undertaken. People often believe that their metabolism is pre-fixed and there’s nothing they can do to change it. And it often discourages them from starting weight loss routines because of the preconceived idea that having a slow metabolism will make any effort useless. But it’s possible to accelerate your metabolism if you know which foods to eat. Here are six foods that can boost your metabolic rate and encourage weight loss. 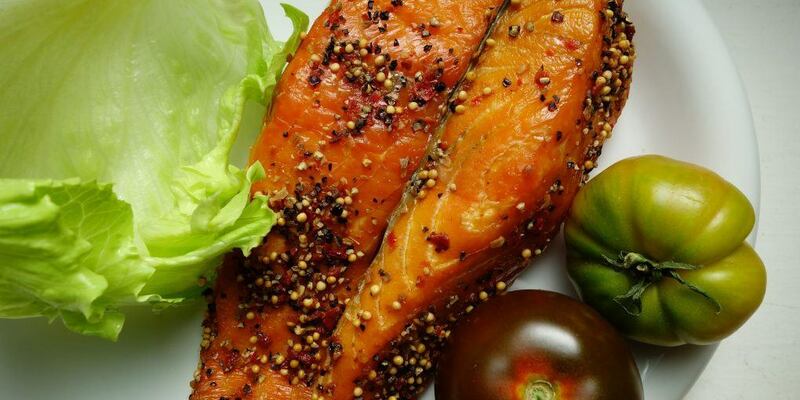 While fat is often seen as an enemy to weight loss, fatty fish can have great benefits for anyone trying to lose fat fast. Mackerel, herring, salmon and sardines are all high in Omega 3 fatty acids and have not only been shown to help burn fat, but reduce the risks of heart disease and inflammation as well. According to a particular study that was performed on 44 adults, those who were administered fish oil were able to lose about 0.5 kg of fat and showed a significant drop in cortisol after 6 weeks. Another thing that makes fish such a great choice for losing weight is that it’s rich in protein, which requires much more energy from your body to be digested. Instead of taking over the counter stimulants for weight loss, why not go for coffee instead? Many of these supplements contain caffeine in the first place, but also plenty of other ingredients that could be dangerous. Taking your caffeine straight from coffee will allow you to control your portions and avoid harmful additives. According to research, coffee could boost your metabolic rate by as much as 13%, which is pretty impressive. In one study, people were asked to consume 100 milligrams of coffee at 2-hour intervals over a 12-hour period. One group was made up of lean adults and the second from people who formerly were obese. The lean group burned over 150 calories more in average and the formerly obese group burned an extra 79 calories during the study. However, that doesn’t mean you should start drinking 6 cups of coffee per day to lose weight. Anything between 100mg to 300mg per day would be safer, which is between 1 to 3 cups. People automatically think about things like kale or acai berries when thinking about superfoods, but few realize how much of a nutritional powerhouse eggs can be. Not only are eggs rich in protein, but they are also great if you want to control your appetite. Eggs will make you feel fuller for longer, and the effects will be even greater if you eat them with complex fiber, like whole wheat toast for instance. There’s a reason why we start sweating anytime we eat something spicy; that’s actually our metabolism going into overdrive. Eating chilies can have a similar calorie burning effect on your body as physically activity. Another great thing is that capsaicin, the compound that makes chilis so spicy, can be taken orally to boost your metabolism when you’re on a restricted diet. And you could compound the fat burning properties of capsaicin by consuming some before a workout and wearing a sauna vest to stimulate body heat. Capsaicin has also been shown to have appetite suppressing properties, which is another plus. If you want to know where to find a sauna vest, you could try a retailer like Kewlioo.com, as they have them in sizes XS to 6XL. Green tea is not only great if you’re trying to burn fat. Green tea is also very rich in antioxidants and can reduce your risk of contracting certain cancers while reducing your risk of heart disease as well. Green tea is also a good source of proteins, and contains an antioxidant named epigallocatechin gallate, which has been shown to reduce belly fat and promote fat burning. Whey protein is one of the best forms of protein you can take if you’re on a strength training program. Whey is a complete protein which allows it to be properly absorbed by the body. Whey protein is not only great if you’re trying to build muscle, but as a supplement if you’re trying to lose weight but maintain your muscle mass. As you can see, boosting your metabolism doesn’t have to be so hard after all. If you manage to incorporate these few foods into your diet while having an active lifestyle, you should be able to lose fat faster and start seeing results in no time. Jessica Peters is a freelance writer from Melbourne who blogs about health and fitness. Jessica is an avid traveler and regularly crosses the globe to learn about other cultures while blogging from her laptop. There are a number of ways that can help you lose weight. You can choose something aggressive such as weight lifting or even go light as walking and doing yoga. However, there is one surprisingly unconventional method of letting go of the pounds that comes in the form of a beverage: coffee. No, you didn’t read that wrong incorrectly and it’s not a typo either. Nutritionist Sarah Flowers told Express that drinking coffee not only boosts energy levels and concentration, but also helps us slim down. One of the ways it does this, Sarah explains, is that drinking coffee boosts our metabolism. When we drink coffee, a phenomenon known as thermogenesis is stimulated in our body, which is what boosts our metabolic rate and burn fat in the process. Coffee also consists of Chlorogenic acid, which slows down the absorption of carbohydrates and stimulate the hormone Epinephrine that causes body fats to break down. However, Flowers warns that drinking too much coffee during the day could make us intolerant to its effects overtime. So she advises that it’s better to choose whatever coffee we take and that we should drink only or two cups a day to get all of its benefits. Gym regulars will be happy to know that drinking coffee can give them an extra advantage. Sarah says that caffeine has been proven to improve gym performance, especially when it comes to endurances sports or high-intensity interval training (HIIT). It’s one of the reasons why caffeine is included in so many diet pills and sports nutrition. Flowers goes on to say that caffeine functions as a stimulant which provides a boost of energy and burn fat stores. It even stimulates the central nervous system, which send signals directly to the fat cells, telling them to break down. This happens when blood levels of the hormone epinephrine are increased. Epinephrine is also known as adrenaline, travel through your blood to the fat tissues, which then signals them to break down fat and release them into your blood. Be advised, however, that releasing fatty acids into your blood does not help you lose weight unless you’re lowering your calorie intake or are exercising, thereby putting you in a condition known as negative energy balance. Theobromine: It’s the prime stimulant in cocoa, but it’s also found in coffee. Theophylline: It’s another stimulant that is found in both cocoa and coffee, and has been proven to treat asthma. Caffeine is the most important one out of all of them. It works by blocking adenosine, which is an inhibitory neurotransmitter. In doing so, the firing of neurons is increased and neurotransmitters like dopamine and norepinephrine are released, which in turn makes us energized and awake. Sarah advises those who wish to boost their metabolism and burn fat, to try Skinny Coffee Club mixes. These contain a mix of ground coffee, green tea extract, green coffee bean extract, Siberian ginseng and Garcinia Cambogia, which work well together to speed up one’s metabolism, burn fat and reduce their appetite. Siberian ginseng, Sarah says, are regarded as the ultimate adaptogen herb that balance our adrenal glands. Sarah also recommends Bullet Proof, which is coffee that is blended with coconut oil or butter. She says that this beverage is really popular with the low carb/ketogenic community and athletes who want to enhance their energy and performance as well as reduce their appetite. Apart from that, Bullet Proof coffee also aids in elevating your cognitive and concentration skills. In order to make your own coffee all you have to do is blend freshly brewed coffee using a blender with coconut or MCT oil and grass-fed butter. Lastly, coffee can also help lower your appetite, which is ideal for those who have lost control of their diet and need help eating normal amounts of food. Sarah says that coffee can stimulate thermogenesis (as we said earlier), which decreased our need for food, but only temporarily. To reiterate, Sarah also said that the chlorogenic acid in coffee reduces the absorption of carbohydrates and suppresses our hunger hormone, Ghrelin. This is the hormone that sits in our stomach and causes it to growl whenever we feel hungry. Carbohydrates also shut off our leptin response, which is a hormone that tells our brain that we’re full. So by stimulating leptin and suppressing ghrelin, our appetite can effectively be reduced. One more interesting bit of detail to note is that decaffeinated coffee contains the most important Chlorogenic Acid and can produce a great appetite suppressing effect. But not all coffees produce such desirable effects. Some, including milky lattes and cappuccinos, consist of sugars and calories, all of which, result in weight gain, eventually increasing our insulin and ghrelin levels. So if you’re trying to lose weight, be sure to choose black coffee or one with a hint of milk and avoid sweetened coffees as well as those with lots of milk. You can check the full story here. 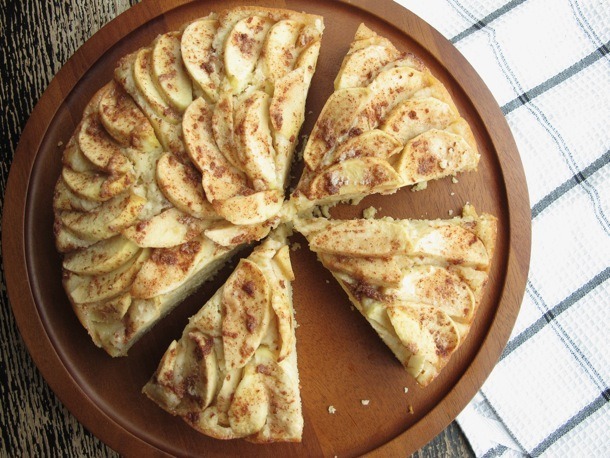 Here we present you this cake, filled with the goodness of apple and cinnamon. This is a 5-star cake and also one of the best recipe that can be served as a dessert or breakfast coffee cake. Apple Cinnamon cake is a moist delight riched with the healthy ingredients, giving a nice taste and texture to it. This cake is a classic coffee cake that looks great, tastes yummy, also provides a nutritional boost. The deliciousness and healthiness, at the same time, really its hard to wonder. If you want to try this delight at your home, then this recipe will help you. This delight is perfect to fill your stomach, for satisfying the sweet-something craving, renders the spicy taste in the mouth, in short, this delight is the right stuff to eat. Go ahead and try this cake right now to have a bite of this extra delicious delight. It can be the best karwa chauth gifts for your wife or can be the best delight for spending some quality time with your family. We are sure you are going to love the heady scent of the apple cake with cinnamon. This healthy delight is sure to put a sweet smile to your dear ones face. Below listed are the ingredients and direction how to make it. So, bake this sweet delight following the recipe guide step by step! Go ahead and make someone feel special and happy. The first thing you do is to set the oven to 170-180 degree for 10 minutes. Then, grease the baking dish with butter, oil, and dust some flour on it. You can make this cake in a 9-inch square cake pan, just for reducing the cooking time by 5 minutes and go for other options as per your needs. Take a large bowl and beat 1 ½ cups sugar, vanilla and cream cheese. Beat it well to mix all the ingredients together. Try to blend the mixture manually instead of using mixer and blender. Next step, is to add eggs on at a time. Beat the eggs until it becomes smooth and fluffy. After this, add the above-listed ingredients in the mixture. Combine the flour, baking powder and salt. This is done so that the cake turns out softer. Add the flour mixture to the creamed texture ( already prepared). Beat it until it gets mixed all together. After making the batter, combine ¼ cup sugar and ground cinnamon into it. Sugar is added in it to impart the right amount of sweetness to the cake (It will help you to make a low calories cake). Combine 2 tablespoon mixture of cinnamon and apple in a bowl. Stir the apple into batter. The thing you must keep in mind that cinnamon should perfectly grind before you add it into the mixture or preparation of the cake. This gives an apple square flavor to it. To make the mixture sweeter, you can increase the number of apples. Pour batter into a 7-inch pan coated with the cooking spray and sprinkle with the remaining cinnamon mixture. Bake the mixture at 350 for 1 hour and 15 minutes. Bake the cake until it pulls away from the sides of the pan or the toothpick inserted in it comes out clean. You can bake this cake at your home or else can get the online cake delivery to anywhere you want. Let this sweet delight cool completely on a wire rack. Now it’s time to do plating. Cut the cake into slices with a serrated knife and serve it to your family, friends or relatives. This fantastic cake is considered to be the best delight for spending some quality time with your close ones. Isn’t it. Just follow the above-listed points step by step and get your healthy cake ready in some couple of hours. Try this out! 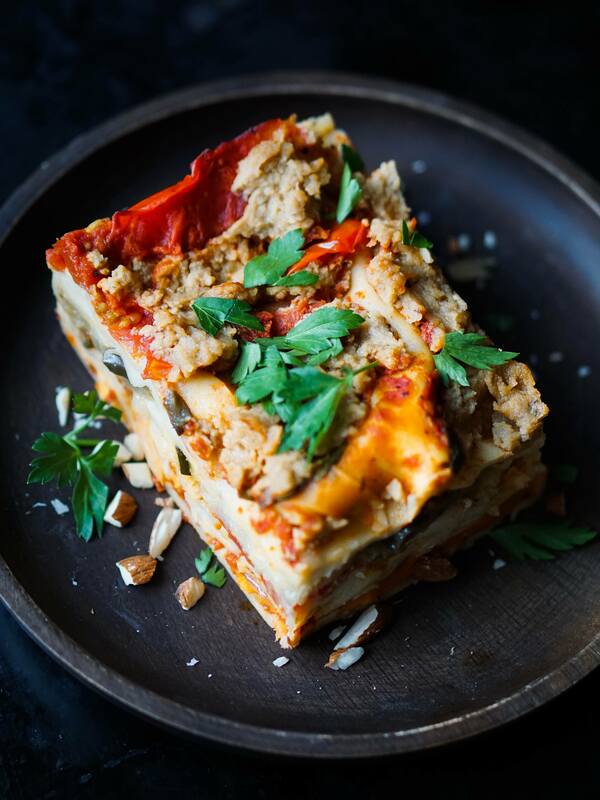 Whether you’re a self-proclaimed meat-lover or a strict vegan, this vegan lasagna recipe is sure to make you hungry for more. Once you try this dish, you’ll forget all about your favorite meat lasagna—or you’ll forget this one’s a vegan dish altogether. Prepare the tomato sauce. Heat up oil on a pan and fry the chopped garlic and onions. Once golden brown, add the tomato paste, cherry tomatoes, salt, chopped tomatoes, and around 100 ml of water. Let it simmer for a moment, then add basil, oregano, salt, and pepper. Keep mixing until it forms a creamy consistency. Prepare the béchamel sauce. Heat up the coconut oil and add in the flour. While stirring, slowly add a portion of the soy milk. Keep stirring until it thickens and continue to pour in the rest of the milk. Season the sauce with salt, pepper, and nutmeg. Set aside to cool. Heat up coconut oil in a pan and add in 1 clove of chopped garlic. Once golden, add in the thin slices of eggplant and zucchini and season accordingly. Keep stirring so it doesn’t stick to the pan and burn. Prepare the vegan cheese. Heat up the cashew butter and add in soy milk. While stirring, add in the nutritional yeast, salt, and oregano. Once it thickens, spread it all over the lasagna and bake for around 30-35 minutes. Garnish your lasagna with chopped herbs, spices, and nuts. Cut out a slice and enjoy! Author Bio: Callum is the head of content at Burger Cheese. They are an Australian based dairy product manufacturer that specialise in the B2B market. When he is not creating content online, he’s in the kitchen experimenting with different flavours and food combinations. We live in an exciting time. Remarkable advances in technology have completely changed the way we function in our lives. Perhaps the most amazing leaps have come in the field of multifunctionality, which is to say the combination of functions into single-use devices. Consider the smartphone, which combines internet access, phone service, gps navigation, social media, gaming, music, and video entertainment in a single package. For the longest time, cooking has lacked devices and appliances that offer this truly multifunction role. People have improvised multiple uses out of utensils and appliances for years of course, but the general case is that few have been purposely designed for this. That has changed with the Instant Pot. A truly multi-function, flexible, adaptable pressure cooker, the Instant Pot is going to change the way most people cook their food from the moment they begin to use it. Instant pot is at its core a pressure cooker, which uses heat and confined space to speed up the cooking of a meal. However, the Instant Pot has been designed to fill seven roles in the kitchen, reducing the amount of space taken up by dedicated appliances. Alton Brown, the famous celebrity TV chef, has long derided single-purpose devices, and it seems the Instant Pot has taken his advice to heart. Using the pot is very easy. Once you have your recipe, follow the instructions and select the function you wish to use from the list above, adding your ingredients as directed, and then wait. The Instant Pot will cook without constant stirring or adjusting, save during the steps to add ingredients or change the function of the device. The warming pot function allows food to stay warm for up to 10 hours. That’s nearly half a day of perfectly heated and prepared food. All the vaunted merits of a slow cooker, such as cook and forget, or keeping stews warm, are present here along with the ease of preparation and cooking. Extra appliances become unnecessary, saving space, energy, and time spent cleaning. Nearly three quarters of the recipes available online that use Instant Pot require 25 minutes or less to prep and cook. That’s under half an hour for most recipes. For example, consider BBQ ribs, a staple of old-fashioned American cuisine. These can take hours to prepare and cook, with an average time of 4 hours for a good, basic set of tasty, tangy pork ribs. There are multiple BBQ rib recipes for Instant Pot that hit right around the half hour mark. Perhaps you have your preferred recipe, and you can always fall back on it if you prefer them, but if you want to belt out a delicious rib recipe in under an hour, the Instant Pot is there for you. Caring for your Instant Pot is going to be easy and low-impact on your time. Every piece of the Instant Pot is simple to clean. The lid, inner pot, sealing ring, and steam rack are dishwasher safe. No time has to be spent handwashing them apart from a quick rinse if you don’t want to put food debris in your dishwasher. The sealed pressure cooker setup is ideal for making healthy meals. Nutrients are lost by overcooking or burning a meal, meaning the vital nutrition you’re after stays in the food you prepare. Further, the high heat and internal pressure kills bacteria and microorganisms, drastically reducing the risk of food poisoning. For those who prize nutrition and food safety, this is a must-have device. One of the most cost-effective ways to prepare food is in big bulk batches. You can make a pot of chili or curry and freeze it in packages, giving you meals that you only need to thaw or microwave when needed. The problem lies in how long such batches take to cook, as they’re traditionally the domain of the slow cooker or roasting pan. This means people tend to get one type of meal, and then grow tired of it after eating it for too long. Instant Pot’s speedy cooking time and good capacity allows you to easily make two or three batch meals in a few hours, giving you the flexibility and variety that are essential to both healthy eating and emotionally satisfying eating. Further, the Instant Pot can be used to prepare the frozen meal. Just take it from the container and add it to Instant Pot on the correct setting and let it cook, and you’re ready to eat. This can save time and energy in the long run, and avoids the frustration of cooking in a microwave with frozen food. Instant Pot’s pressure cooking system speeds up the rate at which meals cook, as we’ve already explained. A traditional slow cooker can easily take anywhere from four to seven hours to cook a stew, and it’s drawing power the entire time it runs. Instant Pot, by contrast, can prepare the same stew in under two hours, drastically reducing the amount of energy that’s drawn in the long run. Instant Pot also isn’t running the entire time a meal is cooking; once the ideal internal temperature and pressure are reached, the Pot shuts down and allows the meal to cook, only adding more heat when needed. As 10machines.com have mentioned about Instapot, most of the functions boil down to the following steps: select setting, add ingredients, wait. Some recipes come with multiple steps, but these steps all come back to those same three functions. This makes learning to use and experimenting with your Instant Pot hassle-free and enjoyable. If nothing else changes the way you cook, the sheer ease of Instant Pot will win you over. Tired of eating bland food? 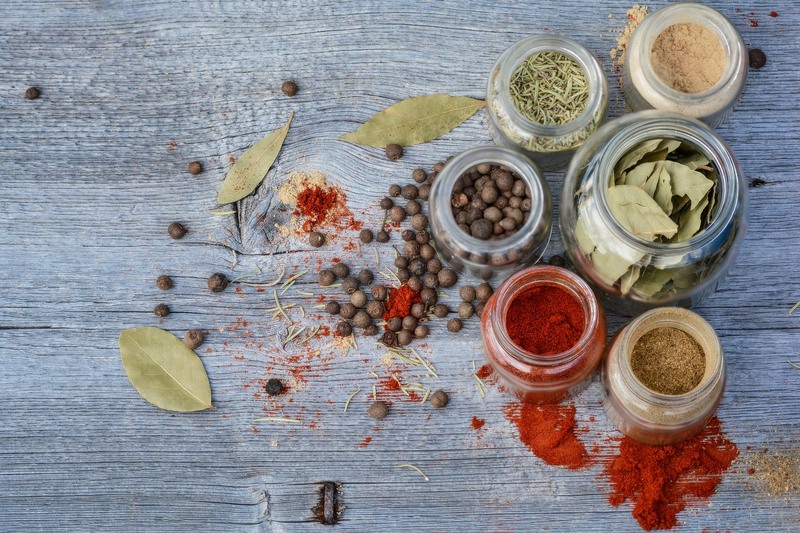 Using herbs in cooking boosts the flavor and nutrient value of your meal. Fresh herbs contain polyphenols, antioxidant compounds that feature a host of impressive health benefits. 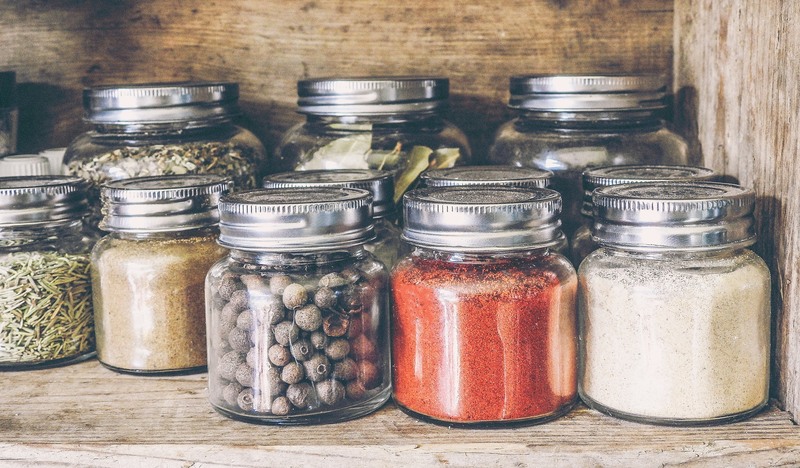 Cooking with healing herbs can improve your metabolic function, strengthen your immune system, and reduce the effects of gastrointestinal inflammation. Store-bought herbs are expensive, so save yourself some money and plant an herb garden at home. Support your nutrition and supercharge your meals with these 7 healthy herbs you can add to your favorite recipes. Turmeric is dried and crushed into a bright yellow powder. This root herb contains a potent antioxidant polyphenol known as curcumin. Research on curcumin shows that it’s a powerful anti-inflammatory compound. Research on turmeric shows it prevents the start and spread of systemic inflammation in the GI tract. The curcumin in turmeric can even kill certain types of cancer cells. Turmeric is a favorite ingredient in curries and other Indian dishes. Be careful when you’re handling turmeric powder, it has a use as a natural dye agent as well. If the powdered herb gets onto your hands, it will stain them bright yellow for a few days. Remember to wear kitchen gloves! The Ancient Greeks understood the healing nature of garlic. The father of modern medicine, Hippocrates stated, “Let food be thy medicine, and medicine be thy food.” Garlic has a history of use as a natural remedy for centuries. Garlic is related to the Allium family. The sulfur compounds formed when crushing garlic cloves are known as allicin. This plant-based antioxidant compound has a potent immune boosting effect on the body, curing illnesses such as the common cold. Add a few crushed cloves of garlic to your dishes and reap the benefits of this superfood. The flowering ginger plant originates in China where it’s had use in cooking and traditional medicine for thousands of years. Ginger tastes terrific with a wide variety of Asian dishes, enhancing the flavors of the meal. The root of the ginger flower is crushed or chopped into fine slivers for use as a side dish in sushi, or an additive for cooking. Gingerol, the polyphenol flavonoids found in ginger root, reduce inflammation, cure the symptoms or the common cold, decrease blood pressure, and help to balance blood-sugar levels. A chef’s favorite, the smell of fresh chopped basil excites the senses and tantalizes the taste buds. This herb is the ideal garnish for many Italian and seafood dishes. The polyphenol flavonoids found in basil leaves are vicenin and orientin, potent antioxidant compounds that clear the blood of free radicals which cause cell oxidation. When cooking with basil, stack leaves together and gently roll them into a ball. Finely chop the basil, taking care not to bruise it. Sprinkle it on your favorite gluten-free pasta and take advantage of the high vitamin and mineral content of this herb. This flat-leafed herb originates from the Italian region of the Mediterranean. The dried or fresh leaves of parsley contain the polyphenol compounds limonene, eugenol, myristicin, and alpha-thujene. Adding parsley to your cooking helps to stabilize blood sugar levels and reduce blood pressure. Regular use of parsley relieves the effects of bloating and cleanses the kidneys of toxins. A fantastic addition to lamb chops, and an essential ingredient of a perfect mojito. Mint is a versatile and fragrant herb that’s used to treat illnesses including infections of the upper respiratory tract and sinus. Mint aids digestion, supports weight loss and provides relief from nausea, fatigue, and depression. The sharp aroma of mint activates salivary glands, which in turn signal the secretion of digestive enzymes in the stomach. Mint assists with proper assimilation of nutrients from your food while providing an herbal boost to the immune system. Traditional medicine relies on cissus to treat the effects of bone disease and improve the health of the skeletal joints. Cissus stimulates appetite and aids in digestion. Most notably, cissus is effective in stimulating the production of collagen, a vital component of healthy joints and bones. Add dried, ground cissus powder to your morning cereal to take advantage of this superfood. You can supplement with herbs to support your nutrition. Health food stores sell encapsulated herb powders and liquid herbal extracts, allowing you to enjoy the medicinal value of herbs in a concentrated format. Supplements made with cissus or other herbs are an inexpensive and effective means of improving the nutrient value of your diet. Jessica Peters is a freelance writer from Melbourne who blogs about food and recipes. Jessica is an avid traveler and regularly crosses the globe to learn about other cultures while blogging from her laptop. Creamy pasta dishes are my ultimate comfort food. Whether I’m happy or sad, cold or hot – life is just better with some fettuccine alfredo. Unfortunately, as diabetes and cardiovascular diseases are being linked to excess carbs, my days of the never ending pasta bowls are shuttering to a halt. However, I found that with a bit of extra work, certain vegetables could mimic the pasta I was craving. I realized that by keeping the sauces the same, I could get the satisfying cheesiness from the pasta dishes without even missing the actual pasta. If you’ve ever thought of reducing the amount of carbohydrates you eat, you’ll want to keep reading. Stopping to smoke – Nicotine has been proven to narrow blood vessels which can contribute to cardiovascular disease. Eating healthy foods – Whereas it used to be accepted wisdom to cut back on saturated fats, now research is showing that reducing carbohydrates is actually more effective in preventing cardiovascular disease. Exercising regularly – The American Heart Association recommends 30 minutes of moderate exercise per day for adults. You can divide up the time differently or workout vigorously for less amount of time; 30 minutes per day is the general guide to strive for. Controlling diabetes – For individuals with diabetes, there is a much greater risk of heart disease. Getting diabetes under control is essential for minimizing damage to your blood vessels. In addition, people with a family history of diabetes should check if they are prediabetic in order to institute lifestyle changes earlier rather than later. Monitor blood pressure – High blood pressure carries a major risk for cardiovascular disease. It’s very easy to overeat carbohydrates. The serving size which is listed for cereals and pastas, for example, are much smaller than the typical American-sized portion. Many times our sugar and carb addiction has us stuck in a cycle. Breaking the addiction is so difficult in the beginning, but after about 5-7 days, you’ll start to notice small small differences. Such as your palate changing, clothing fitting better and an extra boost of energy. By planning and preparing your food in advance, you won’t turn to sugar and carbs out of hunger and desperation. When you go shopping, make sure you to buy healthy snacks. Crunch on nuts, dip vegetables into hummus, eat a banana with peanut butter, etc. Use Garcinia Cambogia as a resource to help suppress your appetite. There is a ton of research on how plant products can be used to aid weight loss by controlling appetites. To find out more about Garcinia Cambogia as well as clinical research studies, take a look at Review Critic. Here you will find reports on the efficacy of different supplements as well as the most trustworthy products and manufacturers. After tweaking my favorite pasta dishes, I’m sharing my tips and secrets to make it easier for others to maintain a low-carb lifestyle. Use these recipes as guidelines. Individualize them to your taste in order to make them as delicious as possible. If you don’t have a spiralizer, it’s worth it to buy one. They’re not expensive, fun to use and turn regular zucchini (or any vegetable) into fun zucchini spaghetti. First spiralize the zucchinis, then add them to a pot of boiling, salted water, just like you would with pasta. Cook only for 3-5 minutes, and drain right away, as you don’t want the zucchini to get mushy. To make sauce, first melt the butter and then add the cream cheese. Stir constantly until it all melts together. Slowly add in the milk or cream then mix in the spices. Lastly, stir in the parmesan cheese. Coat the zucchini with the alfredo sauce and eat immediately. Lay yellow squash and portobello mushrooms in a single layer on a cookie sheet lined with parchment paper. Spray lightly with cooking oil spray and place on a grill or broil setting just until the edges of the vegetables turn brown. Remove from the oven and let cool. Mix cottage cheese with 1½ cups of mozzarella cheese, ¼ cup of parmesan cheese, 2 eggs and seasonings (to taste). Place some marinara sauce at the bottom of a lasagna pan. Then line the squash slices over the entire bottom of the pan. Cover with a layer of sauce, then cover that with half of the cottage cheese mixture. Next place the portobello mushrooms and cover with sauce and rest of the cottage cheese mixture. Lastly make a layer using the baby spinach leaves. Top that with remaining marinara sauce and sprinkle with remaining mozzarella and parmesan cheese. Bake at 350 degrees until it looks bubbly and delicious. Regina White is a practicing nutritionist who got her degree from Saint Louis University. She enjoys finding creative ways to help her clients eat right and feel great from the inside out.